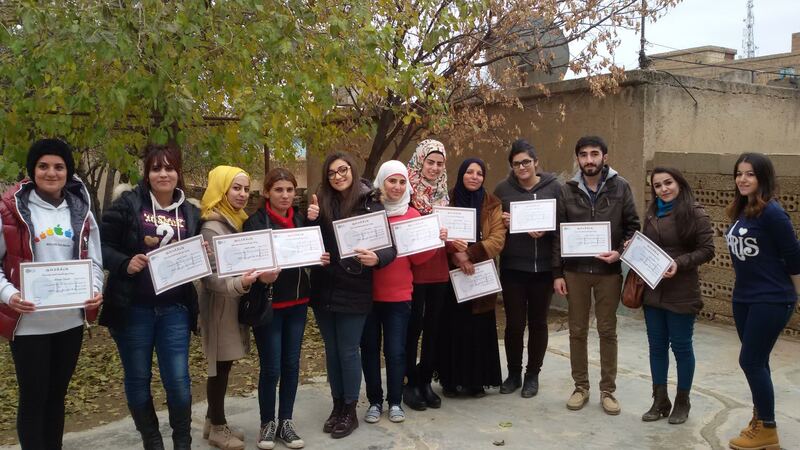 An initiative against violence towards women in Syria’s Jazira region. Recently there have been a number of projects tackling controversial issues in the area of Jazira in Syria. One of these issues is violence against women, which is still a phenomenon in the region. These projects often aim to uncover the details behind these issues. ‘Share My Life’, carried out by Hevi FM in partnership with Hikayetna, is one such project, focussing on the issue of violence against women. This kind of work, which provides documentary insight into violence against women, is rare and progressive. The project was kick-started by an initial study to show the impact of violence against women in the region and to illustrate all sides of the issue. The study begins by explaining that the fact that reality makes matters worse, and concludes with several interviews with victims, who have never been able to speak out about their experiences before. The study included a survey of one hundred women in the region, answering 32 questions covering all aspects of the issue. Ultimately, the survey revealed many important truths about the phenomenon. At the heart of the project was a radio programme, which was very successful in enabling many women to come forward and speak honestly about the violence they have suffered, and that turned the direction of the programme to become positive and methodological. Some of the victims who came forward stressed that they wanted a solution to their situation. In response to one such request, the programme found a job offer for one of the victims, in consultation with a psychologist. The project’s research is still ongoing, with the aim of uncovering the realities of violence against women in the region and offering solutions tailored specifically to the area and its social structures. It hopes to eliminate injustice towards woman and the violence that they face. Director of the project Amer Murad stated. This attempt had great affect even before the survey and its results has been found out, where the turn out for those suffered violence was notable. “The ‘Share My Life’ project is an urgent appeal from women to men, asking them to take a stand together against the violence practiced towards them,” say those who work on the issue.